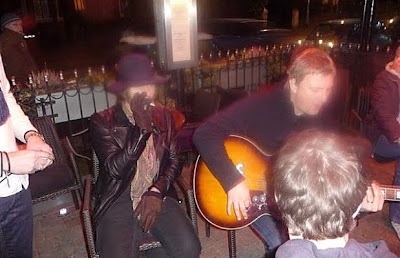 MANCHESTER - Liam Gallagher stunned drinkers in Manchester, north England on Friday (10 December) with an impromptu performance at a local pub. The rocker was in the city visiting his mum Peggy when he dropped in at the Town Bar in the suburb of Heaton Moor - and treated revellers to a surprise set. Bosses reportedly wanted to close the pub to accommodate the star but Gallagher urged them to keep it open so he could perform for customers, according to Britain's News of the World. The singer told the pub's owners, "If I'm here, then people will come in - right?" Gallagher performed a number of tracks, including several Oasis songs such as Don't Look Back In Anger and Wonderwall.